Spring cleaning is a concept that sounds very tiresome, given that it involves cleaning the entire house from top to bottom with the aim of keeping it fresh and organized. It involves a lot of work considering how thorough the process often has to be, but the results are usually breathtaking and thus worth the effort. In the event that you are wondering whether to do spring cleaning, you may have to understand that it is not so much about spring the season as it is about having a fresh and beautiful home. To start you off, here are seven useful tips that will make this tedious exercise a lot more bearable and even enjoyable. The point of embarking on spring-cleaning is to ensure that you get rid of debris that has been gathering in your house over a long time. Even people with regular cleaning schedules tend to neglect some areas in their house for one reason or the other. Therefore, the first tip to effective spring cleaning is to identify the areas that you have been neglecting over time. For most homes, this would be the attic and the garage, but depending on how you manage your home, your case could be different. As a result, you should check out your home and pick out the areas that really need a cleaning. Starting with these areas will make the process even more rewarding as you get motivation when you start seeing the changes. Cleaning the home is generally a daunting task, which would under most circumstances require a lot of time and effort. In order to effectively carry out spring-cleaning, you need to break down the cleaning schedule to manageable bits. You cannot spend the entire day doing nothing but house cleaning chores and thus the best way to go about it is to take one step at a time. For instance, you could use fifteen minutes to deal with the windows and take a break, and then take another 20 minutes to clean your carpet or change your curtains. The idea is to finish one task at a time and make sure that you have done it well. In the end, you will accomplish much more than someone who decides to do everything at a go and ends up only touching a small area for each chore. You may know some people who can spend an entire week cleaning their home. 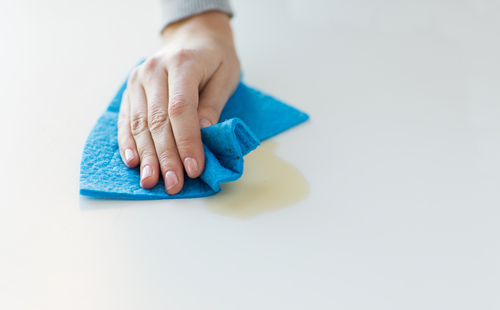 This is not such a bad way to go about spring-cleaning, but it can be really a waste of time. In order to accomplish more within a shorter time-frame, you will have to focus on specific aspects of the home. You could start out with the kitchen and clean it all out before heading to the bathrooms, then the living room. The bedroom is usually easier and more calming to clean and can therefore come last. The point behind channeling your focus on one room is that you will be able to not only clean but also organize everything at the same time. As you clean, you need to ensure that you cover the entire room seeing as the charming aspect of spring-cleaning is in its wholesomeness. Do not start cleaning the living room and then move to the bedroom before finishing, this only extends your list of chores rather than shortening it. The name spring-cleaning implies that this kind of cleaning occurs once in a very long time, although in some parts of the world it would literally mean once a year. After an entire year, you probably have a lot of things in the house that you do not need anymore. This is the best time to decide on what you need to get rid of and what you would rather keep. You will appreciate that at this point; you can either give your unused stuff away or even sell it online or through a yard/garage sale. The point is to eliminate the things that add to clutter in your home thus leaving you with a lot of space to redesign your home. Accumulation of dust and dirt is one of the main reasons as to why spring-cleaning is so important in Singapore. 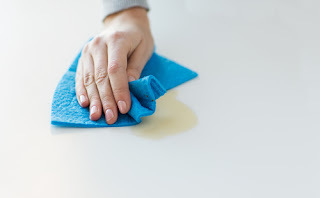 If you are hoping for a productive spring-cleaning exercise, you will want to pay attention to the carpets, upholstery, ceilings and other high surfaces. This is where you will find most of the debris and dealing with it means you are almost through. You may need some vacuum cleaners and long brushes among other equipment’s, but you must deal with these places if you want a satisfying outcome for your spring-cleaning venture. Usually, you do not pay attention to things like the fans, air conditioners, fridges, dishwashers, laundry machines, grills and microwaves at home. This is because they seem like a lot of work but during spring-cleaning, you may want to clean them out as well. They are often very dirty after a long time of use and if you do not clean them out, you will remain with pending chores to carry through the rest of the year or until your next cleaning spree. Clean your home appliances thoroughly to ensure that they work better and last longer. Like many other activities, cleaning is harder if you do not have the right supplies and equipment. You can search for what you may need for your different chores online or even consult with a housekeeping expert. Here, you need to realize that the right tools are the only way to get everything done faster. Otherwise you would be turning an ordinarily tedious and boring indulgence into a severe punishment for yourself.